Crystal Beach Resort is situated in San Narciso, Zambales, a 3 to 4 hours travel from Metro Manila. Crystal Beach has a long fine sand beach which is good for camping and sun bathing. The water is cool and crystal clear perfect for the summer. As what you can see on the photo above, the area is surrounded by pine trees covering the camping area for a relaxing camping experience. 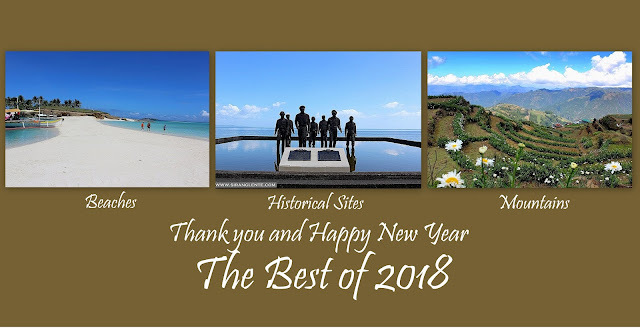 After our backpacking in Northern Mindanao, our original plan was to visit the tourist destinations in Ilocos, and then second choice was Anawangin Beach in San Antonio, also in Zambales. For so many reasons, it became Crystal Beach Resort. We have our own car as mode of transportation this time, with the help of Waze. Photos below will explain why you need to include Crystal Beach Resort in your bucket list. Photo above explains that Crystal Beach Resort has an amazing landscape – just pleasing in the eyes. If you’re planning for a day tour, cottages by the beach are available for rent where you can see the surfers happily playing with the huge waves. A stunning Igorot inspired house. Crystal Beach Resort has a wide camping area. Photo taken at the Crystal beach resort activity center, a spot with a perfect view from afar. If you're in a tight budget and can’t afford those amazing rooms, but planning to do overnight camping, no worries kitchen, rest rooms and shower rooms are available at Crystal Beach Resort, with a lot of water supply, 24 by 7. Photo above is the kitchen area. Look at those huge waves; they made Crystal Beach Resort as one of the best surfing spot in the Philippines. If you’re searching for extreme water activities, then you should try surfing. Surfing boards and instructors are always available by the beach. Ang surfer na ito ang aking binantayan, pero sadyang mahiyain sya. Ang mga turistang gustong matutong mag-surf at makipag-laro sa mga alon. Surfing during the sun set in Crystal Beach Resort is really remarkable as the background turns into gold. The golden sky reflects on the waters and the waves give a white contrast to it that added a beautiful art, ideal for a photo background. Here we are at Crystal Beach Resort, minus the one holding the camera. PLEASE TAKE NOTE: Crystal Beach Resort only accommodates the first 400 people, so it’s better for you to call them for registrations. We paid 550 pesos for camping, with our own tent (including the entrance fee, pitching fee and a 250 pesos worth of stub redeemable at the store and at the restaurant inside the resort). Parking area is wide. Water supply is good. Space for camping, rooms and cottages are also available.